Breathing Buildings’ CEO, Dr Shaun Fitzgerald FREng, has been appointed as the new Director of The Royal Institution of Great Britain (Ri), an independent charity dedicated to inspiring everyone to think more deeply about science. Dr Fitzgerald is a pioneer in natural ventilation, forming Breathing Buildings in 2006 following the development of the proprietary e-stack mixing ventilation system, as part of a major research programme at Cambridge University and MIT, funded by BP. Since then, Breathing Buildings has changed the world of ventilation. The company is now the UK’s leading provider of controlled hybrid and natural ventilation systems. Dr Fitzgerald’s achievements at Breathing Buildings have been recognised by his appointment at the Ri. The Ri Trustees were unanimous in appointing him as Director of the Royal Institution, based on the breadth of his achievements and the depth of his commitment to the Ri’s vision. Founded in 1799 and home to eminent scientists such as Humphry Davy, Michael Faraday and Kathleen Lonsdale, the Ri’s mission is to create opportunities for everyone to discover, discuss and critically examine science and how it shapes the world around us. Its activities include the world-famous CHRISTMAS LECTURES, started by John Millington in 1825, which are now broadcast on UK national television every year. Dr Fitzgerald said: ‘The Ri is a much-loved institution with a rich heritage and a purpose to connect people with science, which is more important today than ever before. 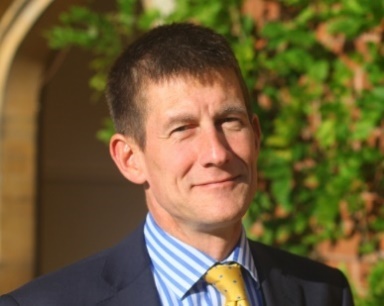 Dr Fitzgerald is also a Fellow of the Royal Academy of Engineering, a Fellow of the Energy Institute, a Fellow of the Chartered Institution of Building Services Engineers, and an Official Fellow at Girton College, Cambridge. Dr Fitzgerald is delighted to take up the post at the Royal Institution immediately while still giving some of his time to support Breathing Buildings. He will also continue his teaching as a Royal Academy of Engineering Visiting Professor at the University of Cambridge in the field of Sustainable Building Design. The Royal Institution’s (Ri) vision is for a world where everyone is inspired to think more deeply about science and its place in our lives. Home to eminent scientists such as Michael Faraday, Humphry Davy and Kathleen Lonsdale, its discoveries have helped to shape the modern world. Just as importantly these scientists recognised the importance of sharing their work with the wider public. Today it continues its mission to create opportunities for everyone to discover, discuss and critically examine science and how it shapes the world around us, by building on its heritage and success in creative ways. An independent registered charity, the Ri provides science education, public engagement, and heritage activities for people of all ages and backgrounds across the UK and around the world. These activities include the world-famous CHRISTMAS LECTURES; public talks from the world’s greatest thinkers in its historic lecture theatre; a national programme of Ri Masterclasses for young people in mathematics, engineering and computer science; hands-on science workshops in its L’Oréal Young Scientist Centre; award winning animations and films; and the preservation of its scientific legacy through the Faraday Museum and archival collections.